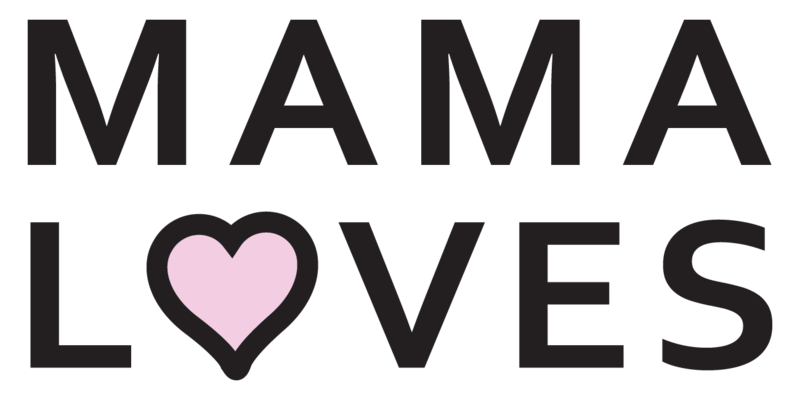 I love cooking, and prior to becoming a Mum I loved trying new recipes and experimenting with flavours, however as any Mum will know, it’s easy to get into a bit of a cooking ‘rut’ and in January this year I was feeling absolutely bored of our current meals and needing some new inspiration! I got an email from Waitrose, about their new meal box service – a weekly delivery service of fresh ingredients with recipe cards for you to make at home. Delivery: The box was delivered by DPD which was a good start, as it enabled me to choose a 1-hour delivery slot to suit me – and if there wasn’t, the ingredients are cleverly packed in woolcool so they can leave the parcel somewhere safe ready for when you get home. The box: Unpacking the box was a dream! 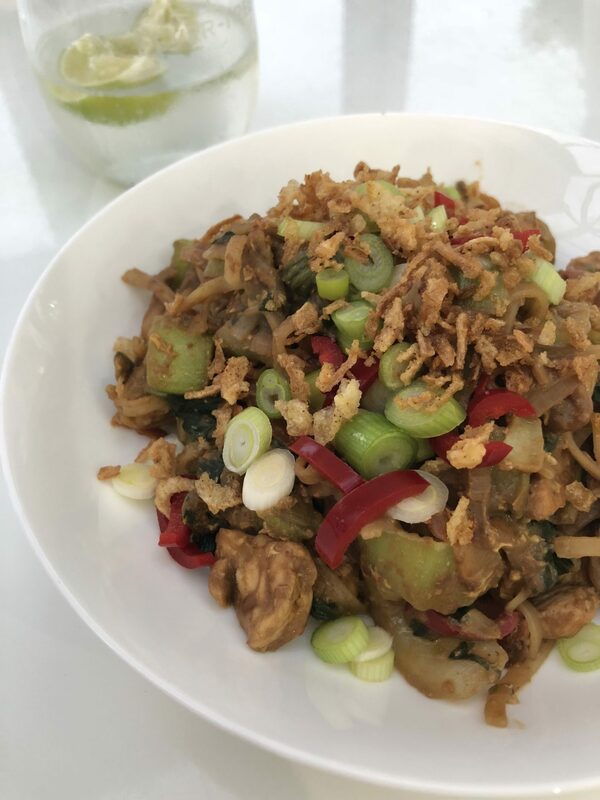 I’ve tried a few box meal delivery companies and the immediate difference was that the ingredients of each meal were packed in their own paper bag – making mealtimes super quick and no scrambling around the fridge trying to find a lost garlic clove or sachet of soy sauce! When you choose to make your meal, you can literally just pull out the corresponding paper bag and all the ingredients are ready to go for your meal – perfect for busy families. The recipes: They come with a selection of recipe cards so you can make the meals at home again if you want. I store mine in a recipe folder. 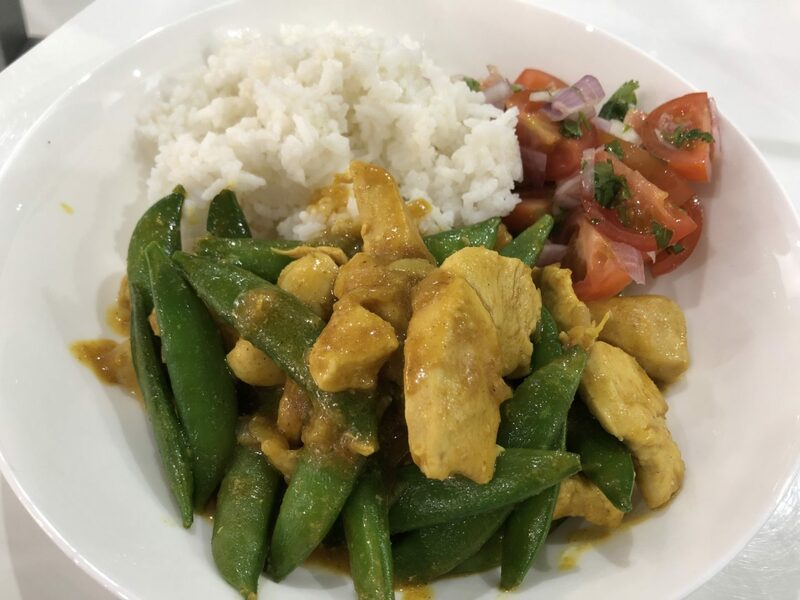 The meals have all been delicious, and easy to make as well as healthy; most meals were 2,3 or even 4 of your five a day which was a great help with getting nutritious meals into my family. 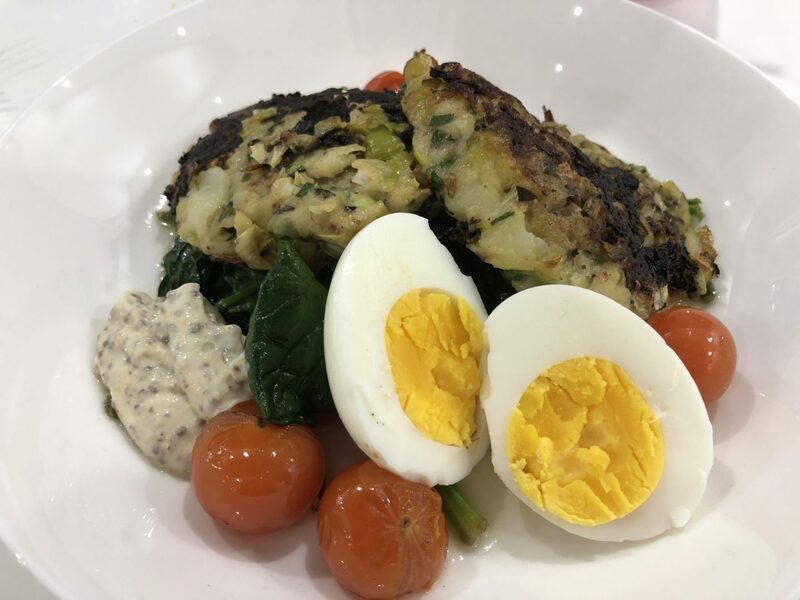 You can choose from 8 weekly recipes to suit your tastes and it shows the calories easily alongside the recipes so it’s perfect if you are trying to reduce your calorie intake or eat a bit healthier. 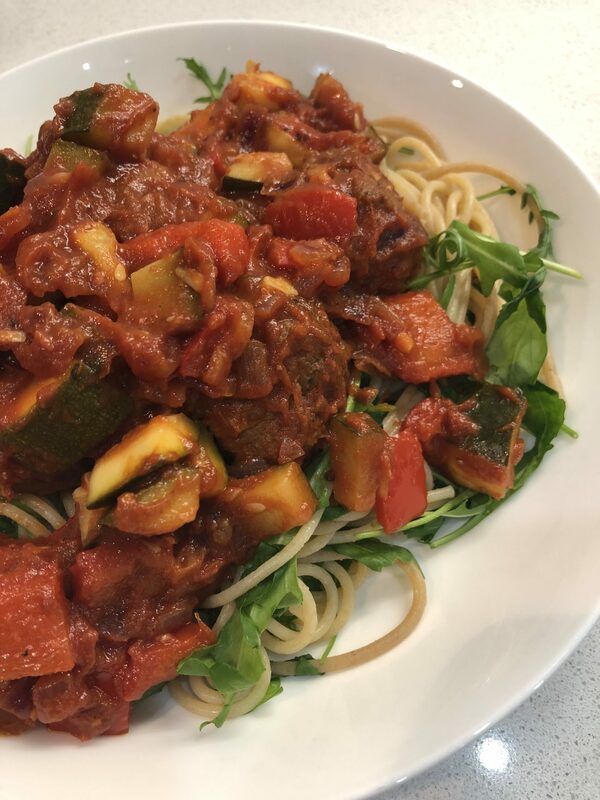 Some of our favourites have been Sicilian Meatballs with wholewheat spaghetti, Japanese Curry with jasmine rice and mangetout, Beef Stroganoff with gherkins, Kerelan Curry with gunpowder potatoes. 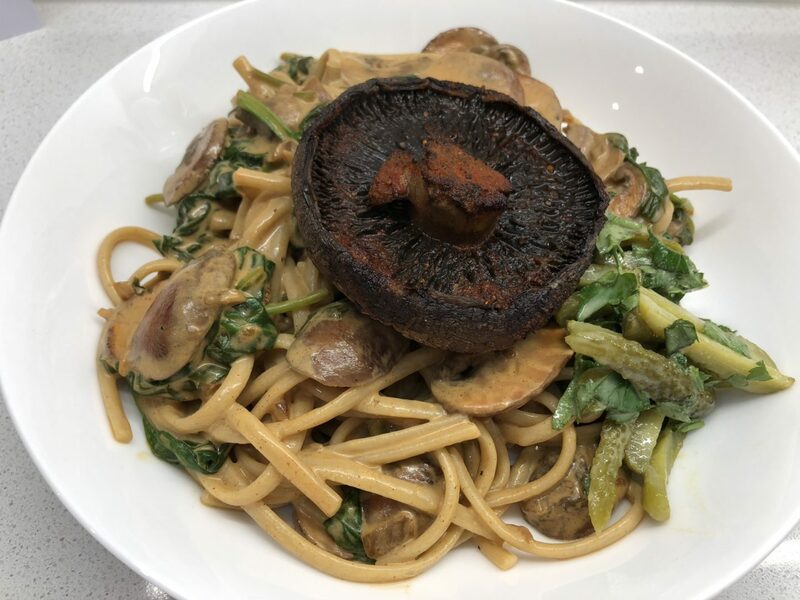 It also helped us to experiment with more vegetarian options, the Mushroom Stroganoff Linguine was absolutely delicious and a regular in our house now! We have a great repertoire of new recipes, that we can cook again and again. The cost: I went for 3 meals per week for two people. My son is only two so I normally share my serving with him. The cost was £39, however i found when i had these set meals in, I actually spend less on my shopping overall as I used to schedule the Waitrose order for Monday, then order an online shopping order for the Thursday – I seemed to have a lot less food waste as well as spending less overall on the weekly shop so it worked for me. The Subscription: This was a huge perk for me. You can choose whether to have a rolling subscription or whether to just have one box at a time. There was no remembering to cancel a box if I didn’t want it. It was really convenient and I could just choose boxes when suited me. You also have a choice of delivery days so you can have when suits you. Was so nice to not have boxes turning up when I didn’t want one. The perks: Because these were set portion sizes, I found that it really helped to adjust my portion control and gave me a little reminder of how much should be on my plate. I even lost a few lbs whilst buying these. The downsides: I will admit, the first box I received had ingredients missing from the box, meaning I had to buy these items in order to make the most of the meals which defeated the object of convenience. However, after a call to Waitrose, the customer service department was excellent, refunded the meals which had missing ingredients, as well as a £10 gift card. I was assured this wasn’t their usual standard and I tried quite soon after launch so there may have been some initial teething problems. After this, I have ordered another 7 or 8 boxes and have never had any items missing, which is reassuring that my first box issue was just a one-off. My only other issue with these boxes is that some of the meals were so delicious I wanted to make again, however, some of the ingredients I just couldn’t find at Waitrose, so after a call to Waitrose I was advised that some of their items are sourced from other suppliers but they weren’t able to disclose who, or where I could find the items. So some of the items, which were essential to making some of our favourite meals, I could never make again, I just couldn’t find something which tasted the same which is disappointing. The items I had tried to source were Katsu paste from the Japanese curry and the Sicilian spice mix, from the Sicilian Meatballs. I tried a few Katsu pastes but none tasted alike to the one I received, same with the spice mix. It’s quite frustrating, I would have loved to make again but haven’t been able to and likely won’t be able to. Overall: I can definitely recommend giving these a go! Perfect for giving new meals a try, super tasty recipes with a great nutritional aspect, excellent for those wanting to eat healthier but aren’t sure how. I still order now and again now when I see my favourites or I fancy something different. If you fancy giving it a try you can visit https://cookwell.waitrose.com and use our code MAMA50 for 50% off of your first box – ENJOY!